Vetusta Morla in Greenspace »« Valencia CF: The Best Footballers in Spain! Feel like watching Pope Benedict be consumed by flames? 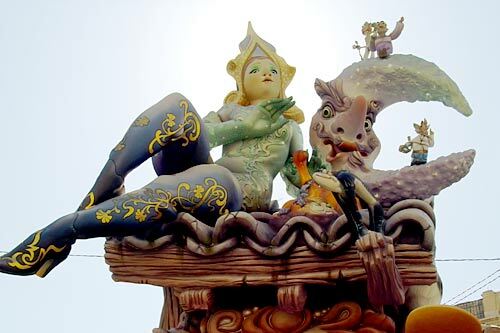 Head down to the Fallas monument of Sueca-Literato Azorín (location) for the cremà, and you’ll get the chance! 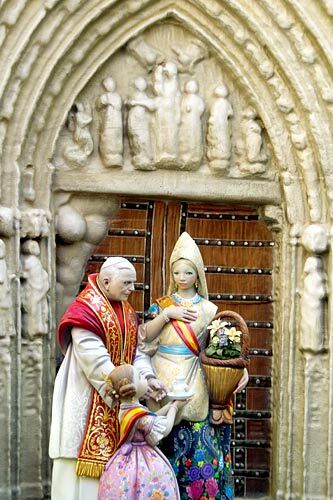 The image of the Pope in front of a replica of the door of the Apostles is one of the monument’s most striking features. 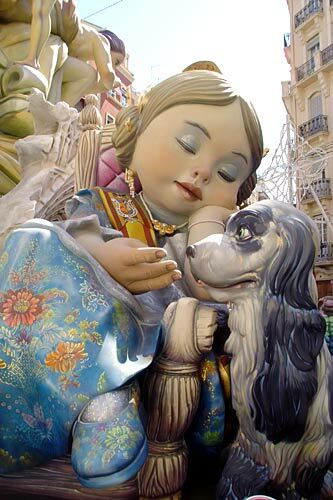 Sueca-Literato Azorín’s 4th place finish was the surprise of Fallas 2008, but they weren’t able to repeat that success this year. The theme seemed to be something like, dreaming of times past, but honestly I wasn’t able to make much sense of it. 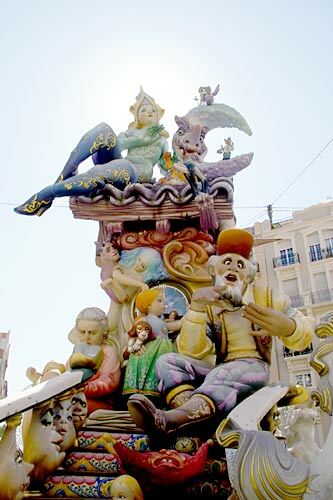 There were pirates, a giant, sleeping fallera and clocks. A mish-mash. 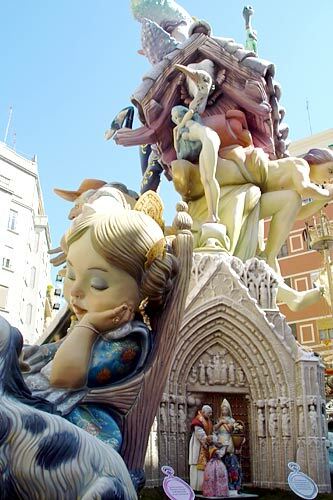 9th place is a pretty major drop for Sueca-Literato Azorín. At least they’ve got the prettiest street lights!